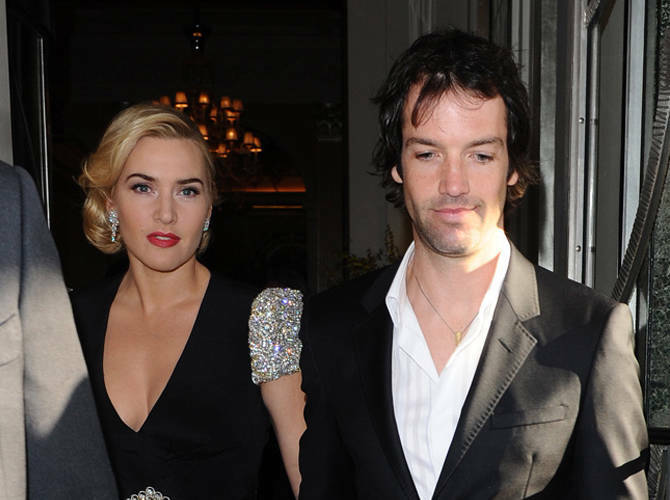 Kate Winslet is pregnant with her third child, her first with husband Ned Rocknroll. The 37-year-old Contagion actress, who has a 12-year-old daughter, Mia, from her first marriage to Jim Threapleton, and a nine-year-old son, Joe from her second marriage to director Sam Mendes, has confirmed she is expecting her first child with her husband Ned Rocknroll. A spokesperson for the couple told People.com: "Kate and Ned are delighted." The Oscar-winner, who tied the knot with Ned, who is the nephew of Sir Richard Branson, in a secret ceremony in December, previously revealed she was eager to have at least one more child. In an interview with InStyle in 2006, she said: "I'm hoping to have more kids. I don't know whether one or two. Oh, God, I would love to have more." An insider recently told Star magazine that Ned, 34, was desperate to be a father. The source said: "Kate knows how much Ned wants to be a father. She thinks they would have the most adorable kid together, so they're planning on getting pregnant by the end of the year. Having a child together is her absolute priority."